Are you gas conscious when you drive? Or do you not know what gets you good versus bad gas mileage? GoFar is a computer that once plugged into the onboard diagnostics port, calculates how much gas you are using. This device has a “ray” that you place on top of your dashboard and will light up on a scale from red to blue. It lights up red when you are using a lot of gas, and blue when you are driving efficiently. This device allows you to learn how to drive gas consciously. This helps cut down on your carbon emissions, and allows you to save money. 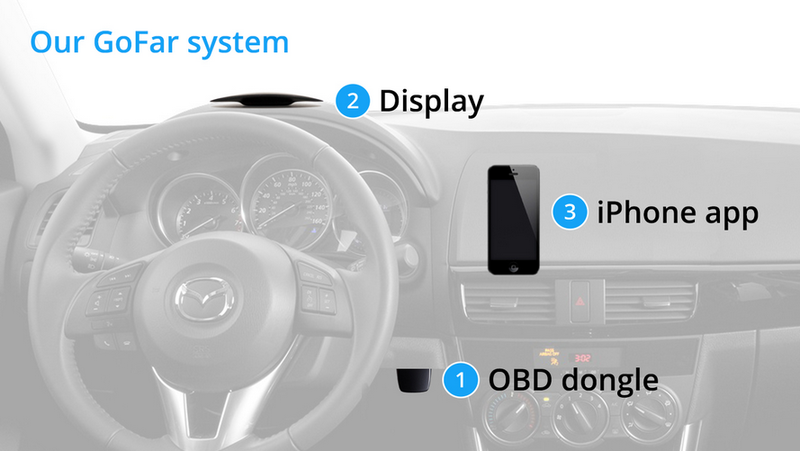 The device can be paired over Bluetooth to a smartphone. On the phone you can then see how far you have gone, how much gas you have used, how efficiently you are driving, and more. 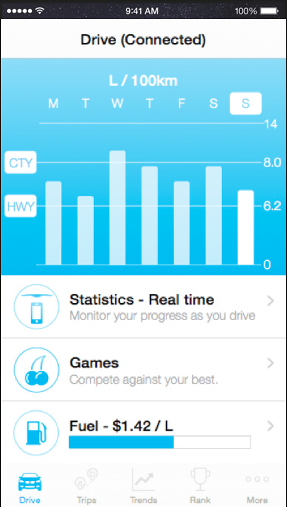 This application and device can teach anyone to drive on less gas. Less gas means less carbon emissions, less money spent, and less time filling up at the gas station. GoFar began in Sydney, Australia by Co-founders Danny Adams and Ian Davidson. The team strives to have people saving while driving. When paying attention to how you are driving, you become more alert, and are less likely to get in an accident. GoFar helps you explore the geography around you while making an effort to minimize your exploitation of the environment through fossil fuels.